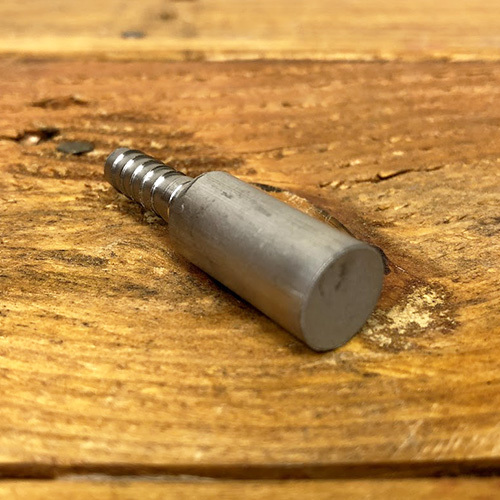 Some people like to speed up the process of force carbonating beer by putting extra high pressure on the keg, but a more effective and precise practice is to use a carbonation or diffusion stone. Rocking your keg with the low pressure gauge set at 30 PSI may get the beer carbonated in one day. This may also, however, cause you to end up with over carbonated beer, which can be a hassle. It can take longer to get the carbonation out of solution than it look to force it in. A better solution for speeding up carbonation would be to use a Carbonating Stone, also known as a diffusion stone. This is a piece of stainless steel, perforated throughout with a huge number 0.5 – 2 micron holes. Keg lids fitted with a diffusion stone are also available. The “Stone” sits inside the keg near the bottom. A hose barb attaches it to a length of tubing (generally about 2 feet of 1/4” ID thick wall vinyl hose) which is affixed to the short downtube under the “in” or “gas side” post. When the CO2 is connected, it sends a tremendous number of gas bubbles out through the beer. The miniscule bubbles create a huge amount of surface area to help absorb CO2 rapidly into the beer. This is actually a miniature version of a device used by commercial breweries everywhere. Carbonation should be virtually instantaneous, though the manufacturer recommends carbonating your beer at least a few hours before serving. 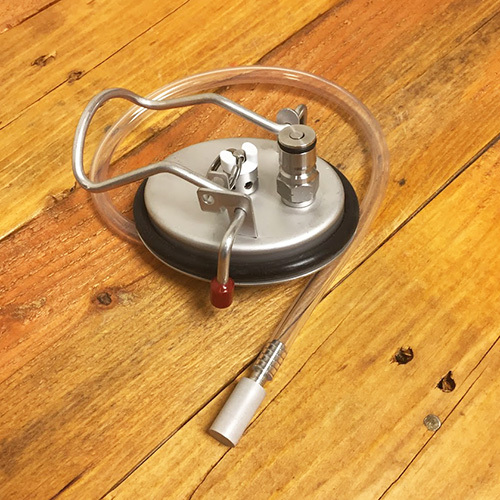 For general instruction on how to setup a keg system and keg your homebrew, we have published an article in the learning section of our website on the topic: Keg Your Beer The Simple Way!